Glasgow City Council is presently consulting on their proposals for a new City Development Plan, which when approved, will replace the City Development Plan 2. The plan represents the Council’s strategy for how land in the city will be used in the future and will be used as the basis for decision-making on planning applications.The proposals will guide public and private sector investment across the city by setting out where development should and should not be located and is designed to help communities understand and become involved in planning issues which may affect their local area. 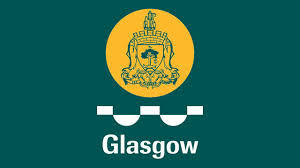 The plan is split into five sections, including a city profile with key statistics relating to Glasgow; the City’s strategic approach to development; the policies to be considered when planning; a map, which demonstrates where policies and proposals will take place; and an action programme, which outlines how the policies and proposals will be delivered. The consultation will close on 27th June 2014. Members of the public are encouraged to respond to the plan and can find out how to take part by visit the Council website.